Based on years of experience and knowledge, we are actively involved in presenting an extensive array of Mild Steel Threaded Rods. 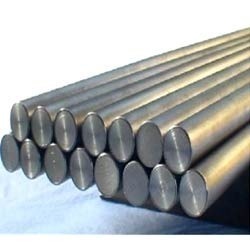 Manufactured under the guidance of vendors’ experts utilizing the finest quality stainless steel and latest machinery, these rods are highly demanded by our valuable clients. Provided steel threaded rods are widely used in different applications like plumbing, electrical works fixing and heavy machines applications. 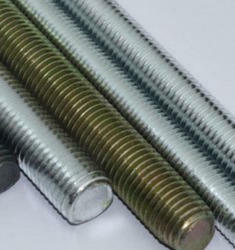 By keeping track with the market development, we are offering optimum quality Alloy Steel Rod. Our offered product is widely appreciated by our prestigious clients for their precise design and durability. This product can also be availed in various sizes, designs and other related specifications. Our provided product is manufactured by a team of our adept professionals utilizing quality approved stainless steel and advanced technology.